Living Streets interview: is the drive towards low emissions coming at the expense of pedestrians? The charity Living Streets has launched a campaign called ‘Pavements for People‘ which aims to stop clutter including EV charging infrastructure being installed on pavements. They believe the mobility needs of pedestrians have been forgotten in the drive towards electric vehicles, and would like to see guidance on where they can be put. AirQualityNews spoke to Dr Rachel Lee, policy and research coordinator at Living Streets, to find out more. How big of a problem is EV charging points on pavements? It’s a growing problem. 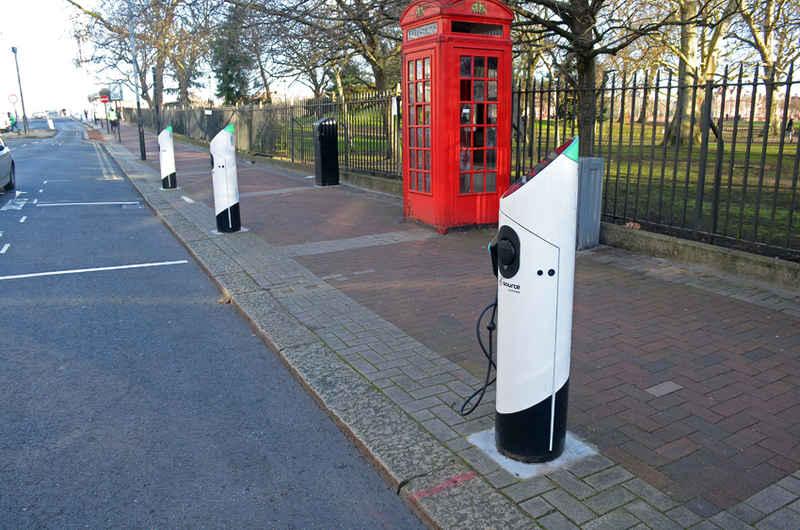 In September, the Prime Minister announced a suite of actions to support the uptake of electric vehicles, including measures to create 200 fast-charging stations throughout the UK. They are going to be more and more visible on our streets and we have to get in there now to get it right, otherwise, we’ll be stuck with a legacy of really rubbish infrastructure from the pedestrian’s point of view. In terms of vehicle charging points and where they are put, there is guidance on technical specification points but there’s absolutely none on where you can put them. That’s the first challenge and local authorities are putting them wherever they like. In some places, they cause an obstruction for pedestrians. Why should they be on the pavement? We’d much rather they are put in places like car parks or off-road. You can create build-outs or parklets that take them off the pavement entirely. Why are they put on the pavement? This is a personal opinion but it’s easier to stick something on a pavement than to inconvenience car drivers. Once you start putting things on the road you’re reducing parking spaces and that’s a sensitive topic. Walking, cycling and transport are the most efficient ways of moving people around an urban area – so taking space away from them is not really the most sensible option. I think it’s also because they haven’t thought about other road users and what the implications will be. Walking, as a mode of transport, is quite often forgotten. I drive to get to the train station to get into London – I’d like to have an electric vehicle but where can we put charging points? I visited some friends in the Netherlands and we went to a museum and they got preferential parking because they had an EV so they could plug his car in. That’s where we want to be doing it. It should be linked to a destination and not taking space away from pedestrians. Other places such as Manchester are forward-thinking and have a walking and cycling commissioner, Chris Boardman, and have staff within the city council promoting air quality. There is an appetite for change. Are you in favour of innovations such as the lamp post that has an EV charging point inside it? You’re going to have leads coming across the pavement from the car which are trip hazards. EV chargers are not just bollards on the pavement they have these leads. If you’re blind or partially sighted you’re not going to be seeing this stuff. We’d like to see guidance developed on where they can be put, ideally off the footway altogether. Whilst we’re not against the uptake of electric vehicles, they aren’t going to be completely zero-emissions. You’ve got the particulate matter from the tyres and they don’t solve congestion on our streets. They are not the solution to all our air quality problems. Do you welcome Clean Air Zones or the Ultra-Low Emission Zone in London? Yes, we do. Anything that will improve air quality and encourage a shift to more cycling, walking and public transport is a good thing in our view. Should all city centres be completely pedestrianised? Some places like Paris are going down this route. The issue is sometimes we focus too much on cars when half the traffic is service vehicles like lorries and vans. How are we going to service our city centres is a big issue, particularly in London when there’s an awful lot of construction going on. We should be looking at consolidating deliveries, maybe doing the last mile with cargo bikes, thinking about times of delivery better. These solutions need to come into play.